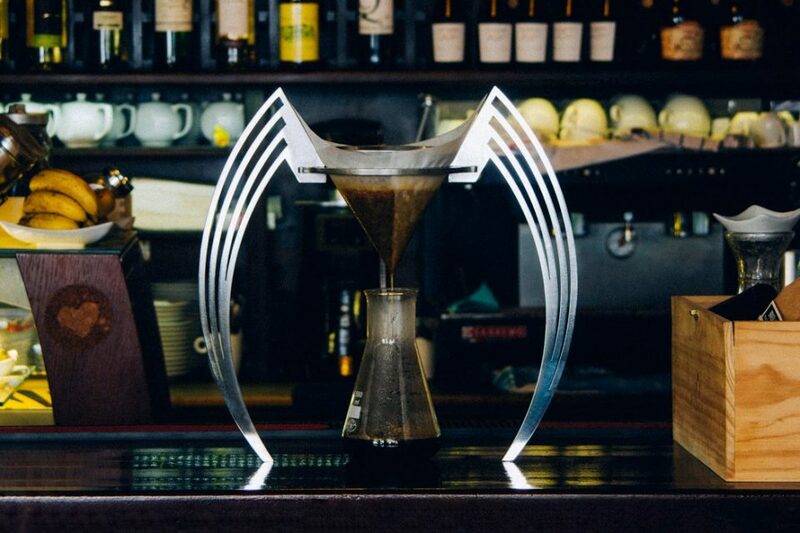 Sure, a Keurig can make you a cup of coffee pretty much instantly, but where’s the art? Where’s the romance, the portability, the control over the brewing process? 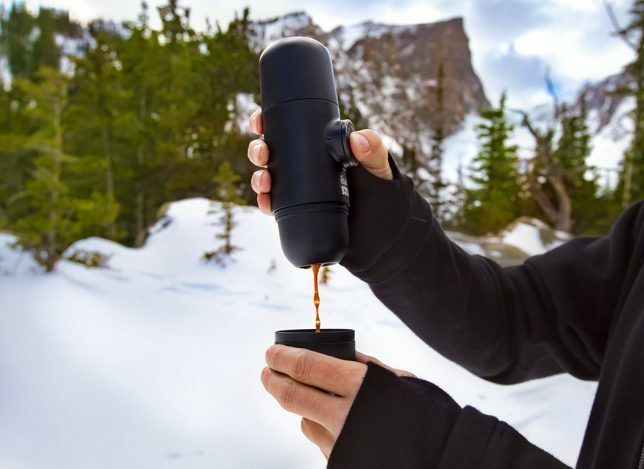 These modern coffee and espresso makers aim to take bean brewing to the next level with features designed to appeal to a wide array of coffee connoisseurs, including travelers, backcountry hikers, wannabe baristas and design snobs. 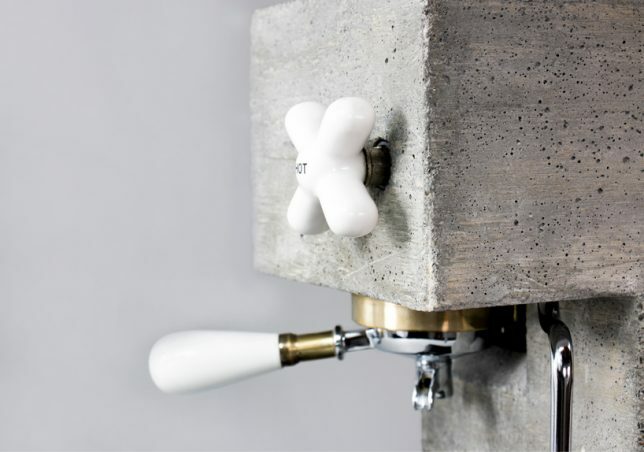 There’s even a Brutalist concrete creation and a smartphone case that purports to heat up a shot of espresso with your phone battery. 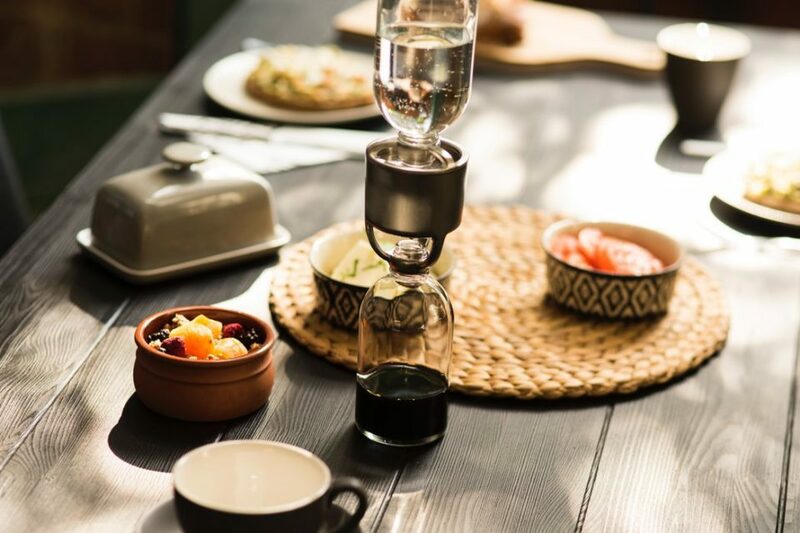 Looking vaguely like something you’d find in a laboratory, the new ATMOS cold drip coffee maker consists of two minimalist borosilicate glass bottles and a central stainless steel filtering device that produce five strong shots of cold brew. 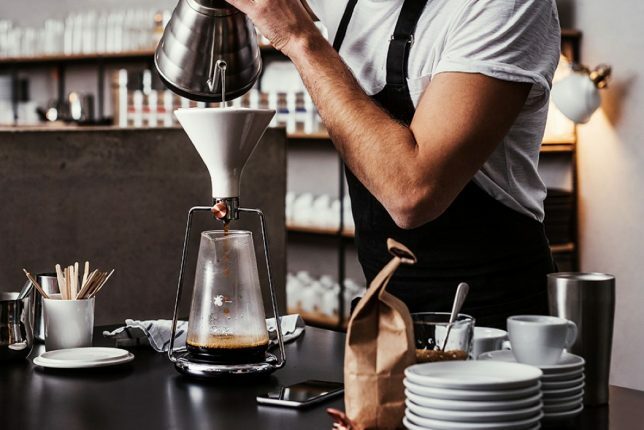 The setup takes just seconds – you pack the filter with finely ground coffee, screw it onto a bottle full of water, place the other bottle on top and then flip it. You can currently preorder the ATMOS via their Indiegogo campaign, with orders expected to ship by April 2018. 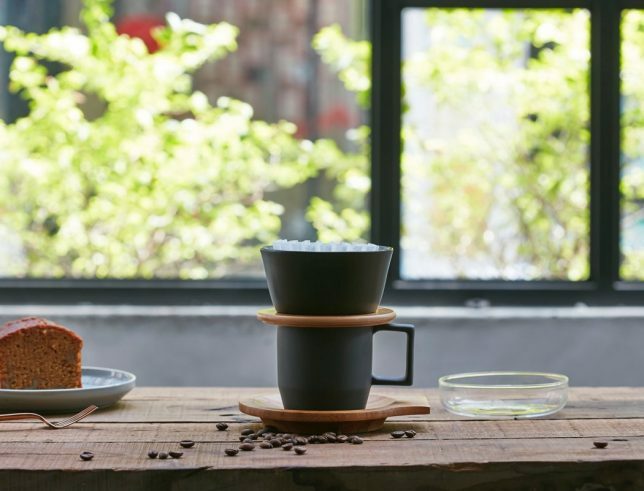 Deeming itself “the world’s first double-layer ceramic filter cup for hand-drip coffee,” the JIA’s simplicity is what makes it so attractive. 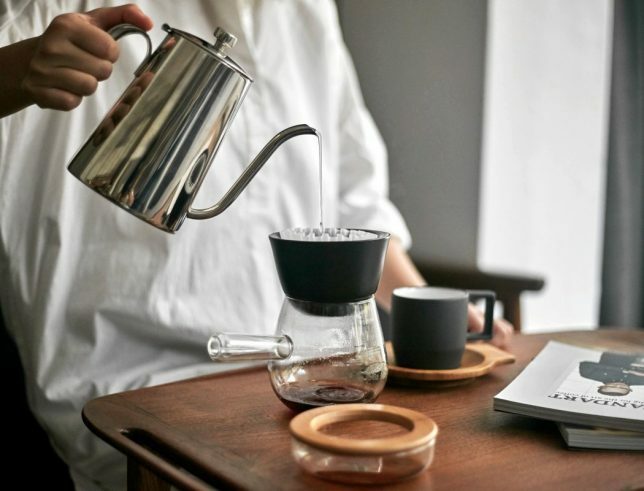 The filter cup rests on a glass vessel during brewing to improve insulation, and then you’ve got a rich, steaming, easy-to-pour goblet of coffee waiting for you. 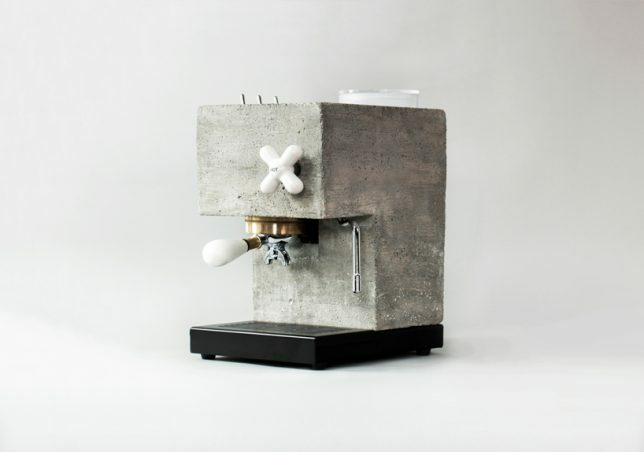 Want to bring a little brutalism to your kitchen? 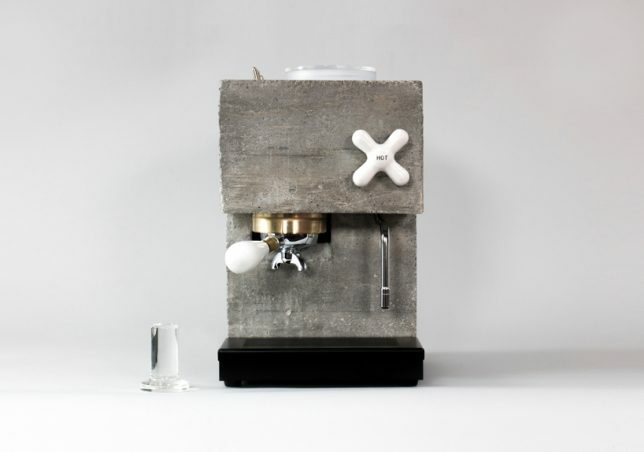 Studio Montag’s stunning Anza espresso machine is not for the faint of heart with its seemingly solid concrete construction. But the Anza is actually lighter than it looks, and though it’s meant to be a visual centerpiece, it’s also highly functional, including IOT integration and programming abilities. It’s also available in white corian, and pre-orders are still available on Indiegogo. 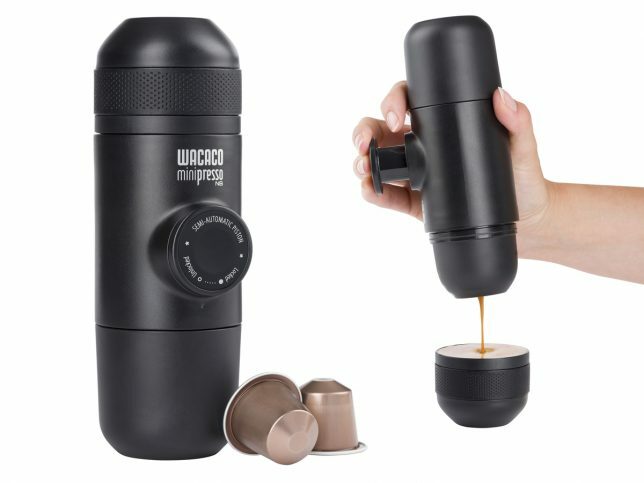 Now widely available on Amazon for around $60, the Minipresso almost seems too good to be true, but fans rave about how easy it is to use, and it’s literally small enough to fit in your pocket. 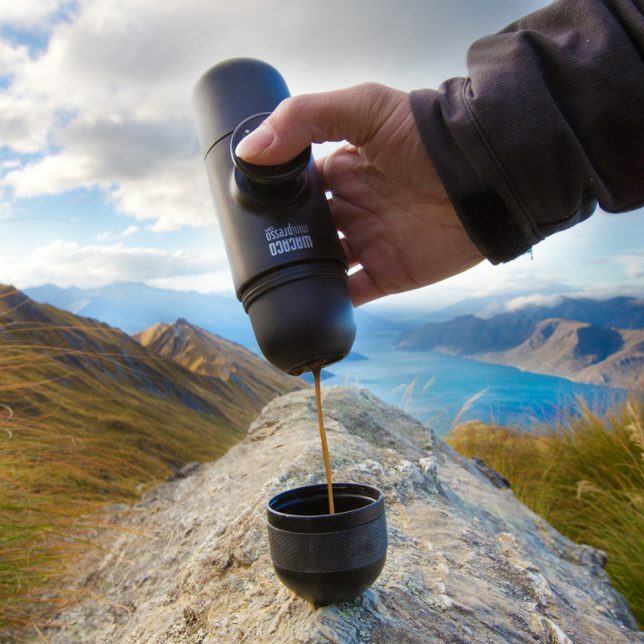 No electricity or batteries are required – you just fill the reservoir with water, lightly pour your chosen coffee grounds into the filter and press the ‘semi automatic piston’ to hand-press your cup of espresso anywhere from your desk at work to the backcountry. 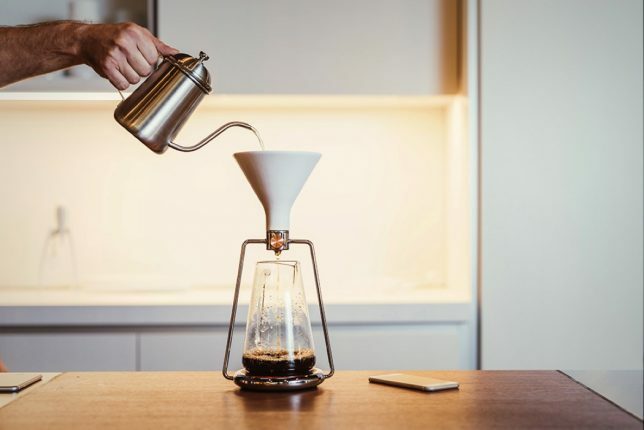 How smart is too smart when it comes to coffee makers? Do you really need yours to be respond to voice commands or order coffee grounds for you? 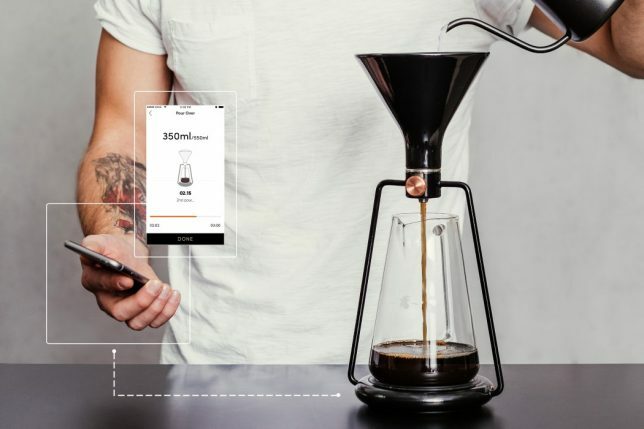 The GINA looks for balance between smarts and simplicity with a built-in Bluetooth scale and an app that connects you to a library of brewing recipes and a community of likeminded coffee lovers so you can share your recipes, too. The rechargeable electronic components are hidden within the streamlined base. 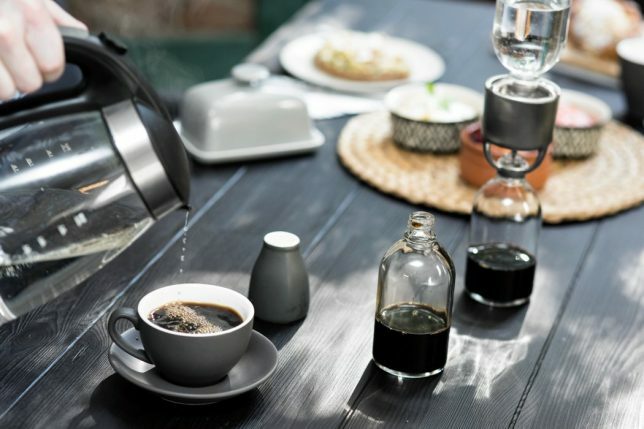 Choose from three brewing techniques: pour over, immersion and cold drip. It’s now available for $160.00 with the smart features, or $125 for the basic unconnected version.